A performer—and fan—riffs on the long run of the city’s legendary jazz club. 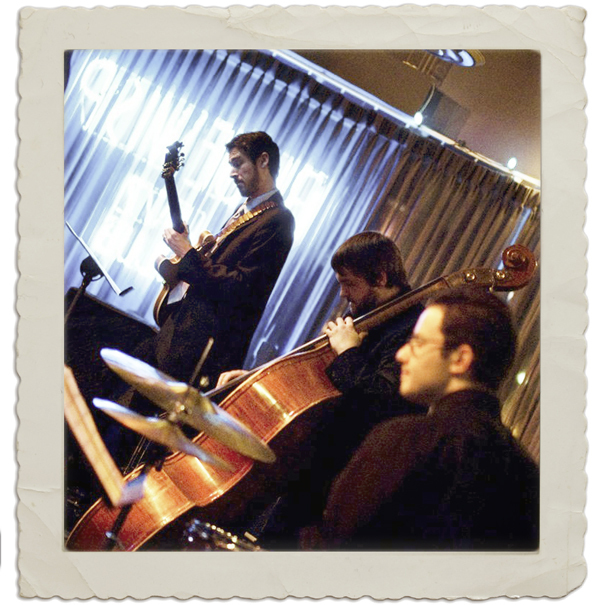 I went downtown on a recent Friday night to see the Blue Wisp Jazz Club in its new location. When I slipped in at Seventh and Race, leaving the rattle of city life behind me, the band was playing a fresh, lilting take on Antonio Carlos Jobim’s “Desafinado,” the sensual rhythm of the bossa nova wrapping the listeners in its tenderness, its fluid movements. The sound of Phil deGreg at the piano mingled with the tinkling of glasses and the low murmur of conversation. Candles flickered on the black four-top tables. The place was packed; the joint was jumping. The Blue Wisp, like the Blue Note and the Village Vanguard in New York City, simply refuses to die. It is in its fourth incarnation now, a long way from its beginnings in the 1970s in O’Bryonville. The new trappings are a little slicker than that smoky bar on Madison Road I used to love so much as a wide-eyed, aspiring jazz singer. But the essence of the place is the same: It’s all about the music—and the characters who love the music. Marjean Wisby and her husband, Paul, opened the Blue Wisp in 1977, but it took Jimmy McGary and his tenor sax to put it on the jazz map. McGary assembled a band for the Wisbys’ bar—Pat Kelly on piano, Marty Wittow and Don Gauck on bass and drums respectively—and things began to look interesting. Unfortunately, musicians and bar owners will fall out occasionally, and that happened between Jimmy and Paul. Alex Cirin had the gig “for a minute,” as musicians say, and in 1979, pianist Steve Schmidt landed the job at the ripe old age of 22, along with bassist Michael Sharfe (who was followed by the redoubtable Lynn Seaton, now on the faculty at the University of North Texas), and John Von Ohlen on drums. The Schmidt-Seaton-Von Ohlen Trio was so good it raised the bar for all musicians and made it easy to get good out-of-town soloists to come in for weekend guest spots. One of Steve’s favorite acts was Sun Ra’s band. Sun Ra was a bandleader who sincerely believed he was born on another planet, and appropriately, wore robes of state and some sort of celestial space gear on his head. During shows, a dancer performed with a lit torch, and at the end of the night the band walked off stage playing “Zip-a-Dee-Doo-Dah.” Steve said the band had some crossover following from the Grateful Dead, some old hippies from the ’60s among his groupies, who kept asking Sun Ra if he was a vegetarian. “They would stand there sort of reverently,” Steve said, laughing. “‘No, man,’ Sun Ra snapped. ‘I had some friends who were vegetarians, and they’re dead.’” As Steve recalled, Sun Ra liked to chow down on Kentucky Fried Chicken or Burger King. In those days I was a bluegrass musician who loved music, and you know what they say: The more you love music, the more music you’ll love. And so I fell in love with jazz—with its longing intervals, its intelligent lyrics, the sheer exuberance of it. Hanging out at the Blue Wisp on my free nights and after my own gigs gave me a window into its magic, and into the complex minds of the people who made it. In O’Bryonville, the Blue Wisp had an office of sorts behind the bar where the musicians could go to get away from the audience and one another. I used to sit back there working The New York Times’s crossword puzzle with Al Cohn, a tenor saxophonist from New York City, who had recorded with Stan Getz and Zoot Sims. He’d walk onstage searching his memory for the answer to 51 across, then launch into the most cogent, musically intelligent tenor sax solo you might expect to hear. Even when words failed him, music never did. Paul Wisby died in 1984, and Marjean became the beating heart of the Blue Wisp. She was as much a presence as a wooden carving of a mermaid on a ship’s prow. She was middle-aged when I first got to know her, and she looked like the actress Anjelica Huston—straight brown hair and bangs, but with a round, pudding face. She had a distinctive voice, too, a cross between a growl and a witch’s cackle, and she sat behind the bar smoking and watching the action unfold around her like a modern-day Madame Defarge. When I’d come in at midnight from a bluegrass gig, she’d look at my clothes to see if I’d been working. “You been screechin’ somewhere?” she’d say, smiling at herself and blowing a little smoke at me. Marjean was fond of many of her customers. She had nicknames for all of them (I was Kitty Litter) and had stories about most of them. One of her favorite tales involved Leo Underhill, a WNOP disc jockey. As she told it, one night at the old Madison Road location, Leo was having a drink and listening to a band. He requested “Green Dolphin Street,” a jazz standard. For whatever reason, the band said no and counted off another song—which irritated Leo. With that, he got up and made his way to the front of the bandstand, evidently prepared to direct the ensemble through the treacherous shoals of “Green Dolphin Street.” All of a sudden he experienced a wardrobe malfunction. Just like that, with no preamble, no warning, his pants hit the floor. Leo looked around wildly, grabbed his trousers, and fled to the men’s room. I’ve heard it said that this was how Leo acquired the moniker “Old Undies” from the other disc jockeys at WNOP. It sounded right when Marjean told it, but I don’t know if anyone is still standing who could attest to this story. In 1989, Marjean and the Blue Wisp were forced by rising rent to leave the O’Bryonville location. Luckily, downtown had a place for the venerable jazz club—an empty space in the basement of the Doctors’ Building on Garfield Place. Getting it up and running took time, but on opening day I was as excited as a Reds fan. I can remember going in through the door, hearing the sound of the music, the scuffle of the horns playing off the swing of the rhythm section. Suddenly I couldn’t get down the stairs fast enough. Wednesday nights were when the Blue Wisp Big Band played, and in the basement at Garfield Place they lifted the roof off the building. Everybody who was anybody showed up: Rosemary and Nick Clooney (George Clooney has already spent a couple nights at the new Blue Wisp, I hear); Tony Bennett; various CSO players; actors from traveling companies; even hair god Vidal Sassoon. Music was happening; jazz was alive and well at the Blue Wisp, and if you were a fan you simply had to be there, to stand in front of the stage and listen to it for a few minutes before you even sat down. That’s how strong its pull was; that’s how hard it hit you. Of course I’d hop in my old Ford and head down, in case the trumpet player passed out or something equally dire occurred. In those days at the Blue Wisp you could anticipate the arrival of various local musicians around 11 or later. They’d turn up after their own gigs were through, dressed in tuxedos. Cal and Susie Collins came, if Cal was in town; Terry Moore and Bob Poe stopped by after their nightly gig with Shirley Jester at the Terrace Hilton; Ron McCurdy usually stopped by with a bit of Irish brogue and twinkling blue eyes. The pianist Ed Moss made the scene nightly about 1 or 1:30 a.m. in his signature beret, his hair pulled back in a ponytail, a cigar in hand. And when major stars were booked into the club, Dee Felice would be sure to show up, his long face serious behind his hep-cat goatee and aviator glasses, his own tux the sharpest outfit in the joint. I was usually the exception to all the swell dressers, dropping by in blue jeans after my gigs. (I recall hocking possessions to make the stiff cover charge when Scott Hamilton was in town.) If you didn’t know what was going on you’d think a flock of giant, suave penguins had invaded the city under the cover of darkness. But it was the cognoscenti, the true lovers of the art form, the people who practiced jazz day in and day out. Their presence was a clear tribute to the music that emanated from the club. I can say I heard some of the best music I’ve ever heard in my life sitting among them in the audience at the Blue Wisp. And as a performer, it was always an honor to be behind the mic. I even got to sing with Cal Collins and Warren Vache at the first Blue Wisp location, after Cal and I had done a special for Channel 48 in 1981. “Here’s one you better know, sugar,” Cal said, grinning like Wile E. Coyote. Then without further ado he kicked off “Stars Fell on Alabama.” I was completely taken by surprise, so my knees were knocking like ball-peen hammers. But I made it through the first chorus, gave Cal and Warren a chorus each, and came back in on the bridge. It was hard coming back in on the bridge—trumpeter Al Kiger once spoke wistfully of the players who had “crashed and burned” trying to come in on the bridge of “Lush Life”—but as I recall, I pulled it off. “Glad you knew that,” Cal said, laughing and sipping on a snifter of cognac afterward. “I had no idea if that was the right key or not.” I was just a chick singer; they would have hung me out to dry. I couldn’t make myself return. While I was out of circulation, the musicians and fans who loved the Wisp scrambled for a way to keep it alive. Cincinnati attorney Eddie Felson bought the club in 2007 and last winter moved it to its present, more advantageous location at 700 Race Street. After years of scuffling, it seems like it’s finally in the right place at the right time, with a little something for everyone. The jazz room is separate. The bar area features enormous plasma TV screens for sports events, and the club books in blues as well as some occasional New Orleans music for different tastes. Some things haven’t changed. The Blue Wisp Big Band still gathers on Wednesday nights, still led by charismatic drummer John Von Ohlen. And now with hipper digital leadership, the Wisp has its own website. This makes me smile. I remember how hard Marjean used to work to figure out how to program the club’s small telephone answering machine. Every week she’d laboriously recite the names of the featured acts for all seven nights. There’d be glitches, mispronunciations, start-overs, some laughter, and more start-overs. Many times I recorded the information about the upcoming acts because everybody else got tongue-tied. What would Marjean have made of a website? I think she’d have been amused. She’d have taken a puff off her slim cigarette, tossed her hair back slightly and said, “What’s a web?” Then she’d have turned to important things, like musicians who’d been on break for way too long. “Hey, Richie,” she’d have yelled at the red-headed bandleader. “It’s time to get the animals back in the pit!” You dig? Originally published in the June 2012 issue.